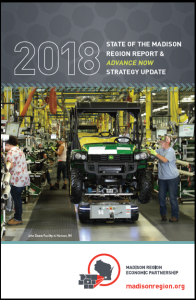 Madison Region Economic Partnership (MadREP) is the economic development agency for the eight-county Madison Region of southcentral Wisconsin. Mission: Through a comprehensive regional approach to economic development, the strategic pursuit of job creation and business growth in target clusters, and the development of a coordinated talent pipeline, MadREP will lead the development of a dynamic economy where people and business thrive. The eight-county Madison Region of south central Wisconsin consists of Columbia, Dane, Dodge, Green, Iowa, Jefferson, Rock, and Sauk Counties. 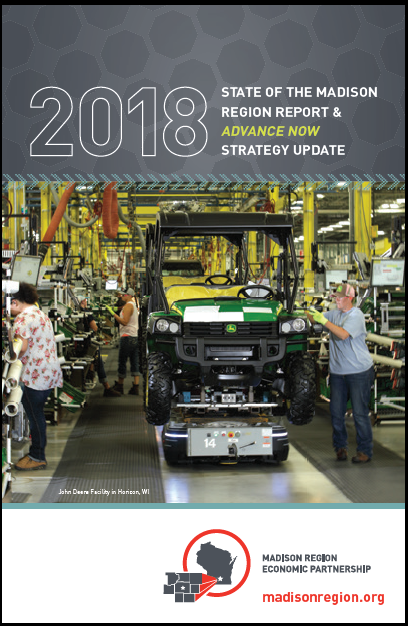 Read our 2018 State of the Madison Region Report.